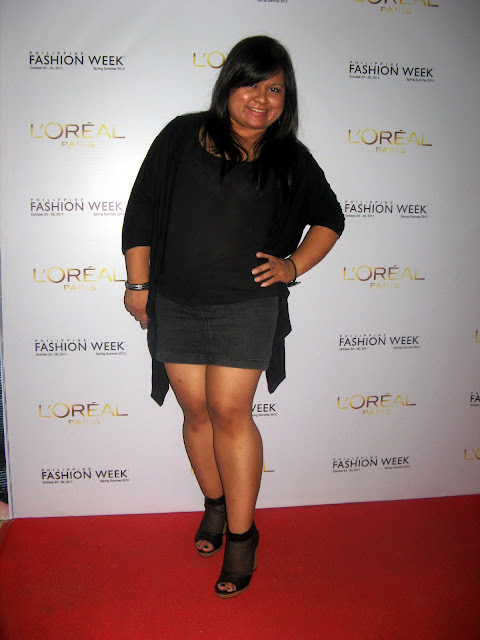 Still need to finish some back log blog posts but just wanted to post this outfit I wore during this Philippine Fashion Week 2012 Summer/Spring Collection at the SM Fashion Ladies' show last Tuesday, October 25. If I look bronzed and semi-haggard, please forgive me. I just came from a week long convention at Roxas City then a 3 Day BORACAY vacation the night before and I wasn't feeling so good. In fact, by the end of the show I was quite sick already and had no voice. So I apologize to my fellow bloggers that night coz I wasn't able to socialize as much. Photo credit thanks to GIE! With another ALL B|LACK OUTFIT gal - JES ROQUE! She looks absolutely FAB dontcha think! With the bonggang Miss Genn D! Love her outfit here! And here's a super cute photo of me with Gie! Love this sweet gal! Photo belongs to her. I'm so glad my sis Laura and I can share shoes. hihi.. So she's wearing MY animal print shoes and I'm wearing HER netted fierce black shoes. And yes, both shoes are SM PARISIAN! 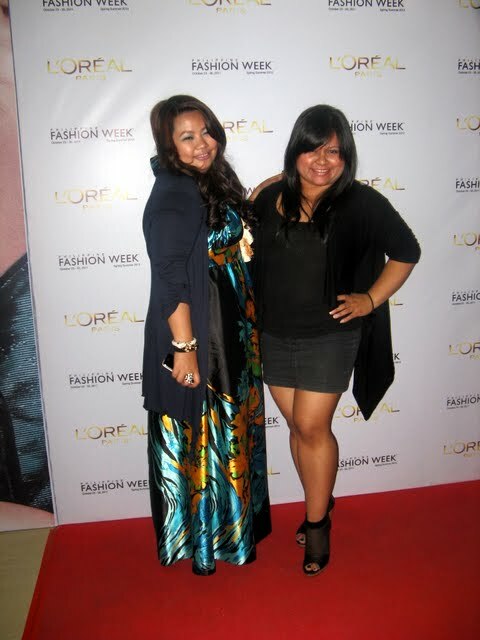 AND so Coffeeholics, that's all for now for a sneak peek of my Philippine Fashion Week (PFW) Adventures! Were you guys there? Have you checked out already all the photos of Fashion Week? Which collection/brand did you like best? Do let me know!